A conformal coating is a protective film of between a minimum of 25µm to (usually) 150µm thick – which 'conforms' to the shape of the populated PCB it is applied to. These conformal coatings help provide protection from the possible effects of the working environment that the assembly will be used in – these can typically include harsh environmental weather conditions where moisture, humidity, condensation and extremes of temperature can adversely affect the performance and life of an assembly. Other harsh working environments can include the use of solvents, fuels, fume generation, heat and vibration and marine applications where salt laden atmospheres can cause major corrosion problems leading to mould growth, arching, contact failure, current bleeds and shorting where operational life expectancy of the equipment is seriously and expensively compromised. Conformal coatings are used on assemblies for use primarily in the automotive, marine, aerospace, lighting, defence and renewable energy industries, however with the expansion of the electronics industry, where equipment life expectancy demand has now increased, there has been a growth in the requirement to conformal coat substantially more consumer and domestic applications. This is the application of conformal coating using a brush, "painting" coating onto the printed circuit boards. The conformal coating technician applies the coating selectively, working around masked off areas as per requirements. This is a relatively skilled, manual process and can be used for low-volume, high-quality finish. This is a cost effective method at low volume requirements and is a technique used to finish and rework PCBs. What are the main advantages of brush coating? What are the main disadvantages of brush coating? What is Conformal Coating Spraying? 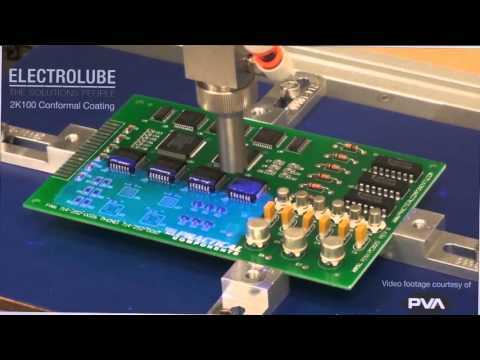 Spraying conformal coating is used to coat low, medium and medium to high volumes of PCBs. This process can provide good coverage with usually high-quality finishes. The conformal coating is pre-blended using thinners to suit specific spray kit requirements and is applied using a manually operated spray gun. The requirement for a skilled trained operator is essential. Any components which must not be coated are masked prior to spraying in order to protect them during this process from coating ingress and contamination. What are the main advantages of spray coating? What are the main disadvantages of spray coating? Competent material batch record keeping required. Generally, dip coating is a process whereby a PCB assembly is submerged, either fully or partially, into a tank or suitable container of conformal coating. The assembly can be either manually dipped (by hand) or for where larger volumes and/or greater controls are required, the use of a semi or fully automated controlled dip coater unit or machine is required. Dip coating an assembly generally ensures complete and full coverage, except for any masked components. By using either a semi or fully automated dip process, functions such as emersion, dwell and withdrawal speeds and times can be fully controlled. Once set, this arrangement provides a fully repeatable process usually guaranteeing a known coating thickness with excellent aesthetic appearance. Manual or hand dipping is suitable for quickness, convenience and extremely low volumes i.e. one or two assemblies – and of course where no controls or repeatability is a concern and appearance doesn’t matter either. Semi-automated dip systems are suitable for almost all volume requirements, from one-off to one-thousand off. Generally, if the requirement is exceeding this figure then a fully automated system may become necessary and a more complex design criteria may need to be considered. What are the main advantages of dip coating? Relatively simple dipping jigs, fixtures etc can be employed. What are the main disadvantages of dip coating? Manual dipping – no control, no repeatability, labour intensive and high health and safety issues. Semi-automatic process – cost of good suitable dip coating system. Comprehensive training for operator required to cover equipment, materials handling and assembly set up for suitable dip procedure. As the name possibly suggests, conformal coating is applied to selected areas on the assembly. A selective coating machine is programmed to 'spray' coat the exact areas required on a repeatable basis. However, the same machine can be programmed to completely 'spray coat' the whole assembly if required. Generally, there is a reduction in the amount of masking required and this can vary between completely to a little depending upon the complexity of the assembly, coating requirement, and volume of assemblies to be coated. Of course, if there is little or no masking required there is less manual labour in comparison to other methods of coating, however, there is not only the cost of the selective coating machine to consider, there are set up costs including programming which point to this process as only being cost effective for large volume PCB coating work. What are the main advantages of selective coating? Repeatable process/control, including coverage, thickness and appearance. What are the main disadvantages of selective coating? Comprehensive training for operator required to cover equipment, materials handling and assembly set up for suitable selective coater. A pre-prepared conformal coating in a tin. 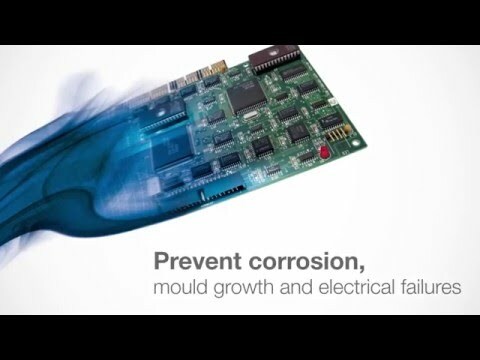 A consistently repeatable mixed and blended conformal coating presented in aerosol format for the immediate facility to conformally coat a suitably prepared PCB assembly. A conformal coating blended with suitable solvents and propellants which allow for a reasonably good quality coating atomised spray to be produced that can be directed on to the surface of a PCB assembly. All application methods and subsequent coating results are dependent upon the skill and ability of the sprayer. Acrylics, Urethanes, silicones and other derivative coatings are available in various aerosol formats and sizes. Convenience in a tin. What are the main advantages of aerosol coating? Relatively safe to use – simpler fume extraction facility can be accommodated depending upon usage. What are the main disadvantages of aerosol coating? 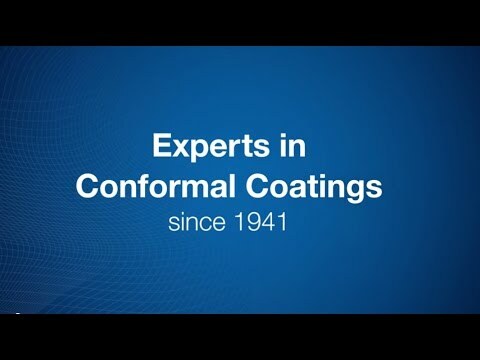 Chiltern Connections has been a leader of conformal coating services for over 25 years. We can create the optimal solution for your business requirement, drawing upon our extensive abilities and resources.